It is spring selling season. 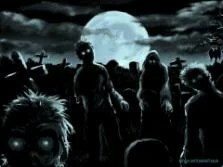 And the good news is here come the Zombies! January saw a 28% increase in foreclosure starts from December, and, even more significantly, 47% of those were repeat foreclosure starts on loans that were previously modified. While this may sound ominous, it is actually a good thing. Once all the sick and troubled loans are dragged, pulled and called out into the bright light of day, our housing market can begin its hoped for recovery. Once we get struggling homeowners out of the clutches of their Zombie debt, in order to release the house to a buyer who won’t be strangled by debt, the sun can shine down on us all once more. But what of those homeowners who want desperately to stay in their houses? Shouldn’t we show compassion to them? The answer to that is yes, and we have tried. But over the last two years a majority of homeowners who received loan modifications have re defaulted. Clearly, these homeowners cannot sustain their current debt level and should move on to a house or rental they can afford. It is not good for anybody to be overextended on their cost of housing. I am open to loan modification only for homeowners who can afford a loan modification with a 30 year fixed rate, taxes and insurance included. This loan modification would provide the homeowner with an accurate snapshot of the real cost of the home, and be suited to their financial ability to pay. Loans which open with a 3% interest only loan, only to move much higher when the rate rises and principal is tacked on, are not a viable solution. Such loans give a false short-term picture of the long-term cost of owning the home, and in most cases lead to a another default. This is why having a 30 year fixed rates, with taxes and insurance wrapped into one payment, is the only way to go. We must also accept that pinning hopes on a major national principal write down program in the United States is futile. For 16 months the State AGs were fighting for principal write-down, and out of the 26 billion settlement only 10 Billion is going to write-downs. In the future, some Banks may be willing, as a good will gesture, to write down some of the mortgages tied to homes that are so underwater the likelihood of the mortgage ever being paid in full is nil. However, in total there are over $800 billion of mortgages underwater, and there is no way Freddie, Fannie and the banks will write down 800 Billion worth of mortgages to market value. The delusion that some have had for the last 3 years that there will be a mass write-down on mortgages needs to come to an end. We need to move on. Harsh as it sounds, we must get these foreclosures out of their zombie stage and into market to be sold so they can be given to a new generation of homeowners who have the proper income to keep the home. Zombies were once living creatures who had their day. When they rise from their grave only to wander in horrific and terrifying fashion among the living, they prolong their own pain. 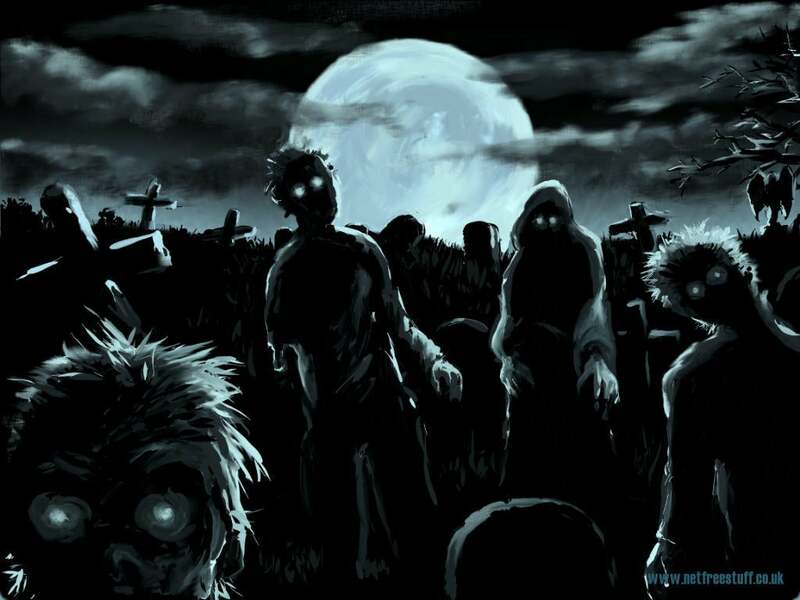 Only in permanent death can Zombies find peace. It is the same with troubled mortgages. Let them be. Let them die a natural death. Let the dead past bury their dead, and let the living embrace life and health once more. Those homeowners being strangled by Zombie debt will breathe again. And, even though this will bring short-term pain in home prices, this would eventually lead to a normal housing recovery. This process will likely take a few years to complete, but bringing the foreclosures and short sales to market is a good forward step. Logan great article! How about the luxury market sector, when is that going to explode? How much longer until banks realize that most young people cant afford them or even worst, they dont want them??? The luxury market has had the luxury of having no financing for a while to now expensive financing. Due to the lack of buyers the market hasn’t had the velocity of sales to bring it down. The days of doing a 80/10/10 option arm stated income loan with a 1.25% teaser rate are over, hence eliminating a lot of the buyers. So, in time when you get more and more sales of luxury homes the price should com down. I would tell you this, the sales that I have seen in the luxury market here in CA have been vulture like in the short sale transaction. However, there just isn’t enough transaction happening now to bring the market down. The reason I haven’t been a doomsday bear in home prices and more of a slow decline bear is because of the government propping up home prices ( forcing rates lower) and banks manipulation of inventory has prevented a steeper decline and I see this happening for a long time. However, maybe this year they finally let the zombie homes come to the market luxury and have a final death. Do Prices at the Pump Hold Housing In a Slump?